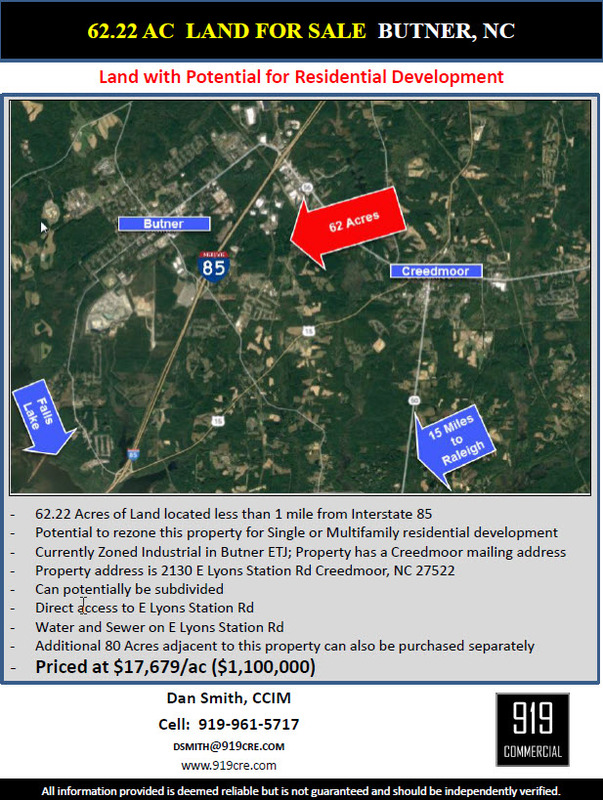 Call me to discuss this land for sale in Butner, NC just 1 mile from Interstate I-85. 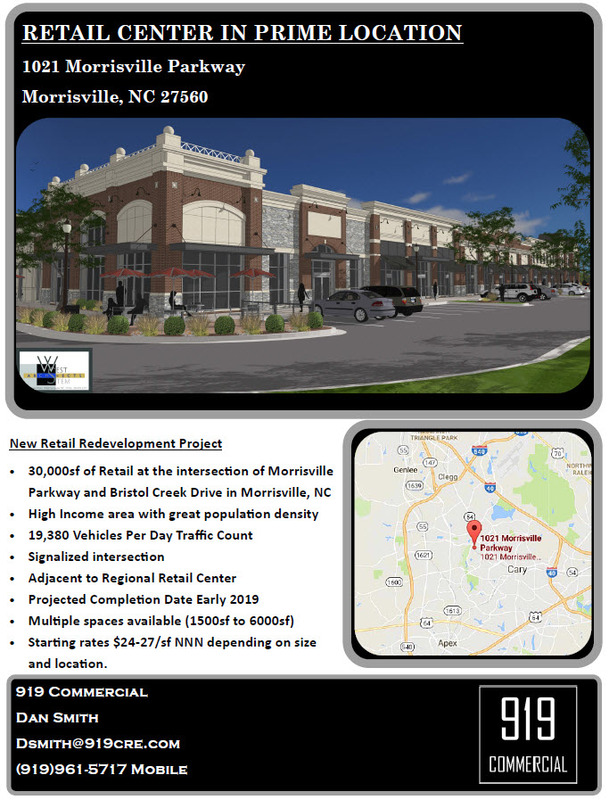 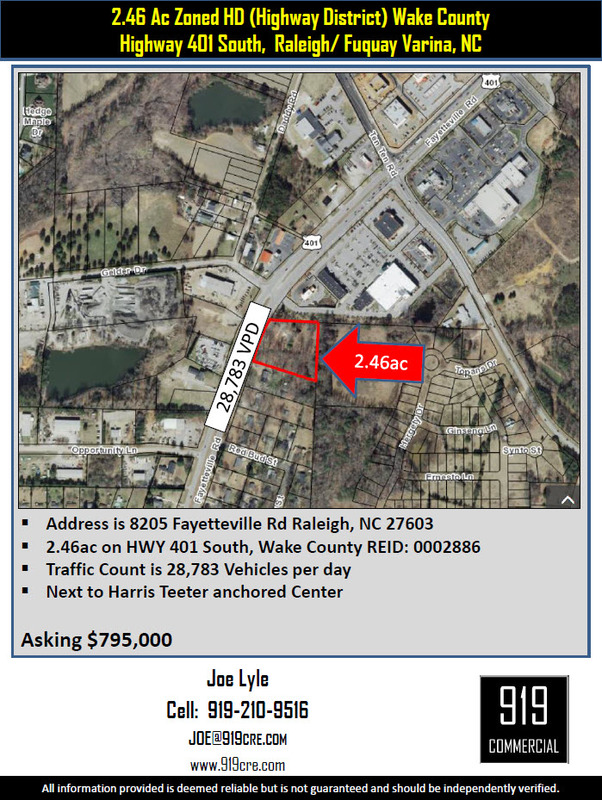 8205 Fayetteville Rd Raleigh NC 27603 FLYER Great location for a retail Building. 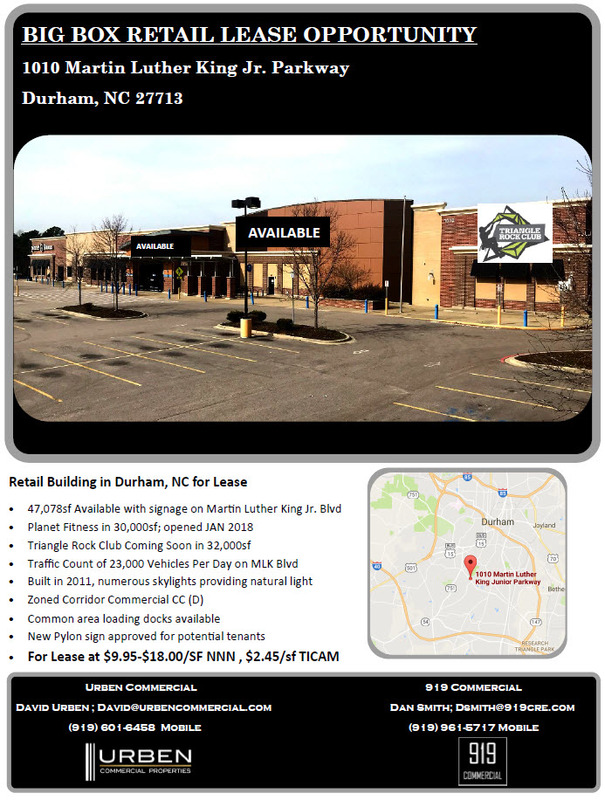 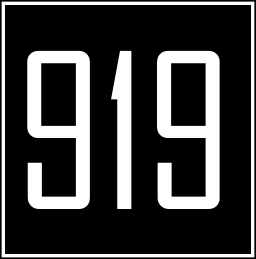 See the "Our Work" Page for more sold listings and properties where 919 Commercial represented buyers.